2147 Sleigh bed frame on sale now!! 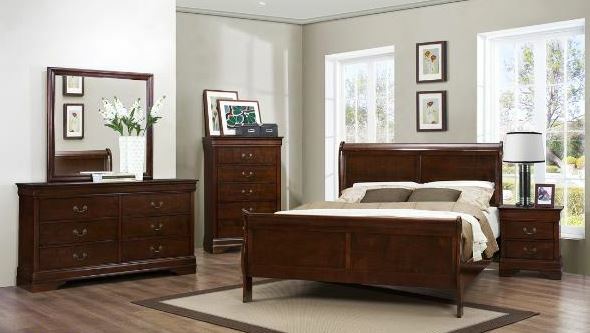 The 2147 sleigh bed features solid hardwood and hardwood veneer construction! Available in either cherry , White , Grey , or Black ! Very sturdy construction , for years of use.